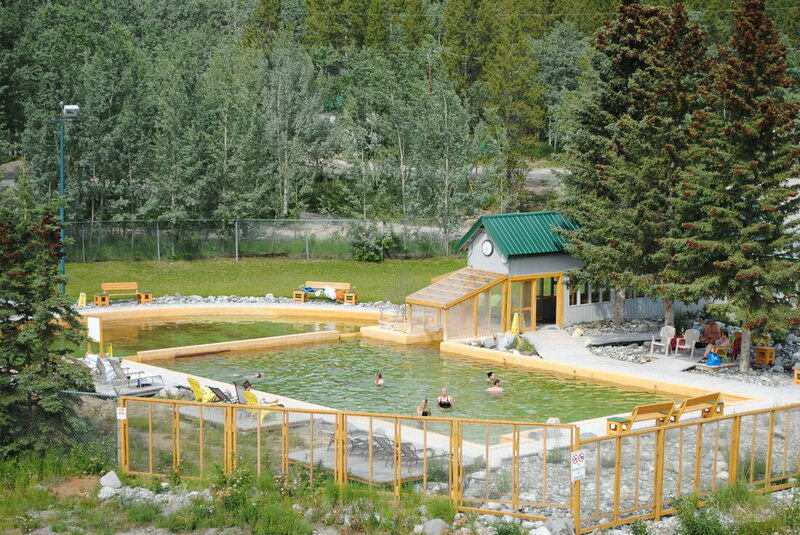 General Description: Takhini Hot Springs​ is one of the most visited locations in the Yukon Territory in Canada. Takhini hot springs have been in operation for over 100 years. 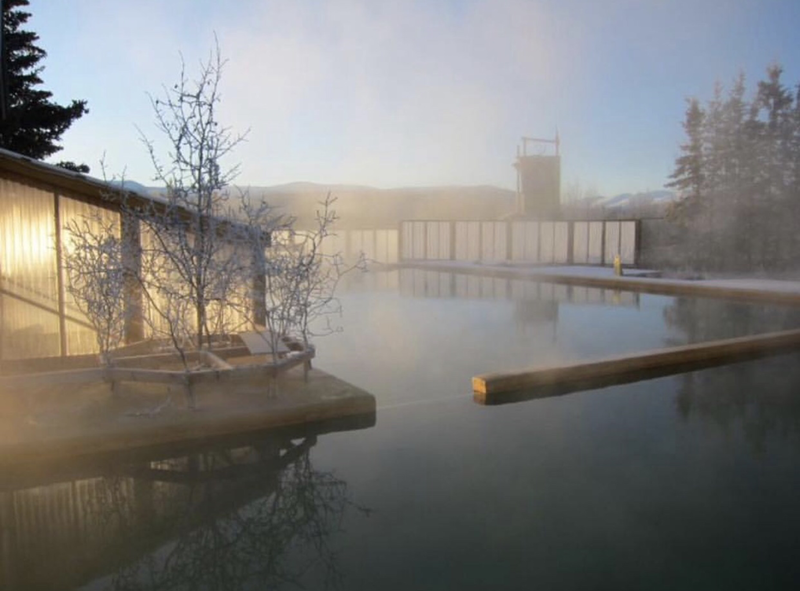 This hot springs hideaway boasts two connected hot spring pools. Accommodations are available. Location: ​From Whitehorse, Yukon Territory, Canada it is 25 kilometer or 20 minutes to drive to the hot springs. Accessibility: Takhini Hot Springs​ ​is accessible. You can drive up to the hot springs. It is an easy walk around the property. This hot springs is open all year. 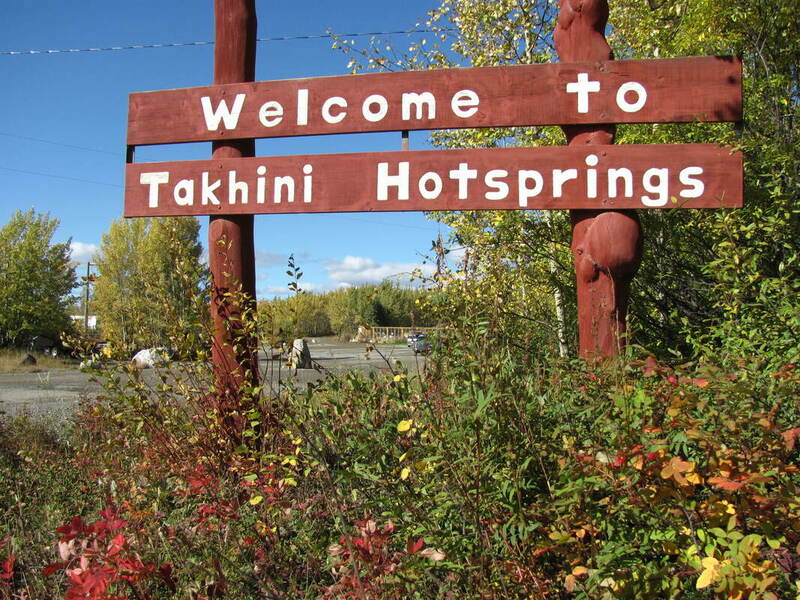 Hot Springs: ​Takhini Hot Springs is odourless. The main minerals are calcium, magnesium and iron. The iron gives the water a red or brown hue. Takhini boasts two connected hot springs pools. The source flows naturally into the pool at 385 litres per minute at 42°C (108°F). It gradually cools to about 37°C at the outflow. The maximum depth of the hotter pool is 1.2 metres (4 feet) while the other pool is 2 metres (6.5 feet) at the centrer. The pool is drained and disinfected once every 24 hours in the summer. The pool is drained 5-7 times a week in the winter. Hot Spring Tips: ​Takhini Hot Springs ​The International Hair Freezing Contest is an annual contest that usually runs during the Sourdough Rendezvous in the month of February. Bring clean indoor footwear such as flip flops, or crocs to wear in the change rooms and pool side. Bare feet are not allowed for health and safety reasons. ​Children must be accompanied by a responsible adult in the swimming pool. No kids are allowed after dark. This hot springs is not pet friendly. Clothing is required. Bring your bathing suit. Takhini provides accommodations. The hot springs offer camping and a hostel. Day use is available for non guests. Guests get a discounted rate for hot springs admission. Youtube Video on Takhini Hot Springs is below.